I am a pediatrician specialized in neonatology and for many years I have dedicated myself to treating the most vulnerable babies. In particular, I have been interested in neonatal neurology and the adaptation of extreme premature babies to extrauterine life. I am currently combining my clinical work with clinical and basic research. I was born in Valencia where after completing high school in CEU San Pablo, I studied at the University of Medicine of Valencia for the first four years. I was awarded the ECTS-ERASMUS program and I completed the last two years of medicine at the Université Libre de Bruxelles (Belgium). I continued my training in England where I did the specialty of Paediatrics (subspecializing in neonatology) and passed the MRCPCH exams in November of 2000. Most of my training was done in the London region, particularly at King's College Hospital where my interest in neonatal neurology began. In 2002 I worked as a Senior Registrar at the Monash Medical Center in Melbourne, Australia, where I developed an interest in Cerebral Blood Flow auto-regulation. 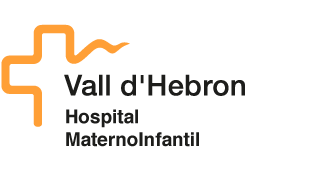 Finally I returned to Spain and since 2007 I work at the Vall d'Hebron Hospital in Barcelona. My field of interest is the neonatal neurological system and its adaptation to extrauterine life in both extreme premature and other pathologies such as congenital diaphragmatic hernia or congenital heart disease. I have made several publications, conferences and collaborated in courses on neuroprotection, therapeutic hypothermia, seizures, etc. I am a member of the board of the Spanish Society of Neonatology (SENeo) and member of the European Society for Pediatric Research (ESPR).